Spontaneous combustion is not a myth. 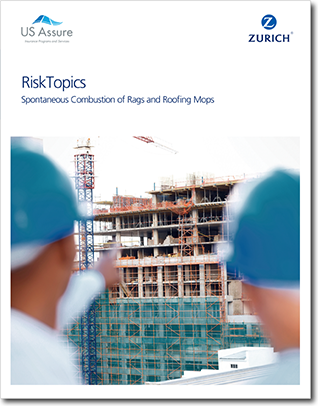 Fires occur on construction sites from the improper storage or disposal of oily or stain soaked rags or mops. Over a five-year period, the National Fire Prevention Association reported an estimated average of 14,000+ fires caused by spontaneous combustion or chemical reaction, with the most common being residential structures. Even a small spontaneous fire can cause unexpected devastation to property and possibly lives. Download this report now to provide your client with crucial fire prevention tips.